Here's the recipe adapted from Ina Garten. 1. 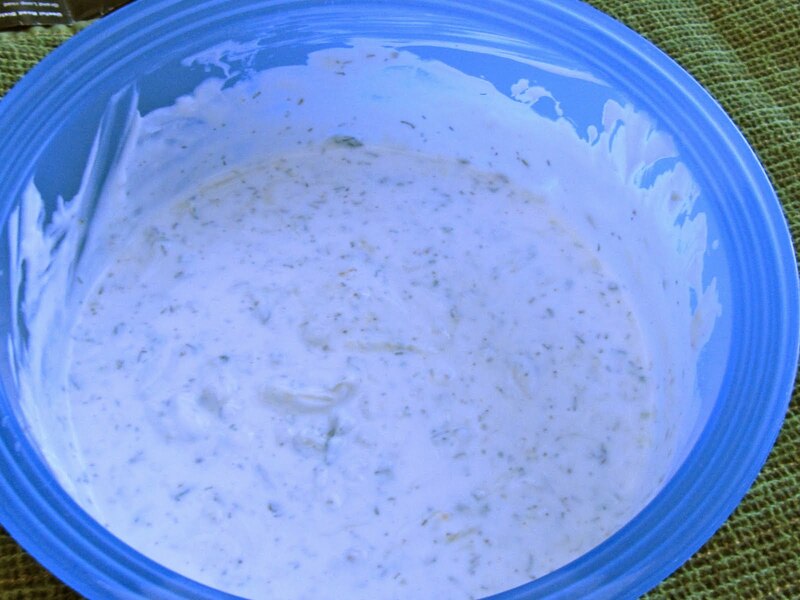 Place the yogurt in a medium bowl. Grate the cucumber on a box grater and squeeze the grated cucumber in a paper towel with your hand to remove some of the liquid. Add it to the yogurt along with the sour cream, lemon juice, vinegar, dill, garlic, salt and pepper and stir. Refrigerate until serving time. Here's the recipe adapted from Claire Robinson. 1. 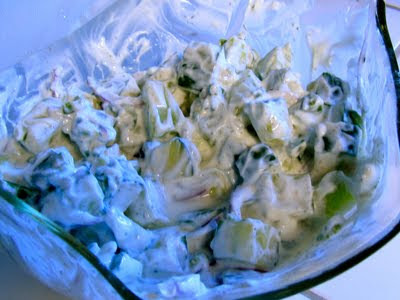 Put the cucumbers and honeydew in a fine mesh sieve set over a bowl. Sprinkle with a pinch of salt and allow it to sit for 5 minutes. Press out as much liquid as possible. Toss the cucumber and melon with the yogurt, onion and pepper in a serving bowl. Cover and chill in the refrigerator at least 1 hour or until ready to enjoy. 1. Heat the oil in a saucepan over medium heat. 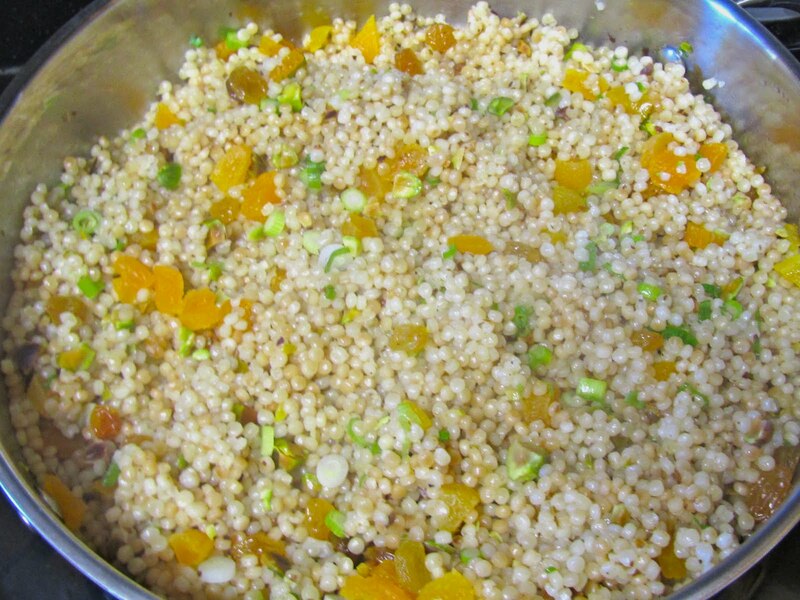 Add the couscous and pistachios and cook, stirring, until toasted and light golden brown, about 7 minutes. Add the water, season with salt and pepper, to taste, and bring to a boil. Reduce the heat to a simmer, cover, and cook until the liquid is absorbed, about 10 minutes. 2. Remove the lid, stir in the apricots, raisins and scallions, taste, and adjust the seasoning. Transfer the couscous to a serving bowl and serve warm with a little more lemon oil drizzled over the top, if desired. 2. 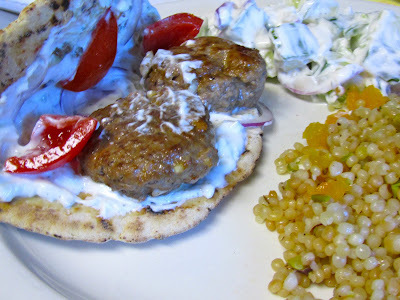 Put the 3 lamb patties in the middle of each flatbread and top with 2 tablespoons tzatziki sauce, red onion and tomatoes. Enjoy! Here's the recipe adapted from Grace's Sweet Life blog. 1. Preheat oven to 180° C (350° F). Line a standard muffin tin with paper liners. 2. In a large-sized bowl whisk together the flour, sugar, baking powder, baking soda and salt. 3. In a medium-sized bowl mix together the mashed bananas, egg, melted butter, milk and vanilla. 4. Add the banana mixture to the flour mixture and stir to just combine (do not over mix). 5. Add the chocolate chips and stir to just combine. 6. 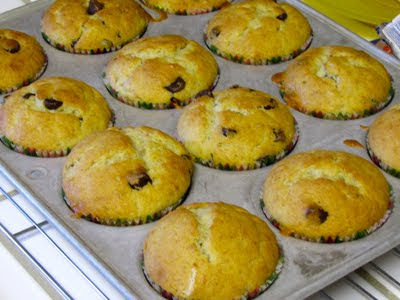 Divide batter evenly among prepared muffin cups, filling three-quarters full. 7. Bake, rotating tin halfway through baking time, until tops are pale golden and a tester inserted in the centre of one muffin comes out with some melted chocolate attached but no crumbs, about 32 minutes. 8. Transfer baking tin to wire rack to cool for a five minutes. Turn muffins on their sides in their cups and cool completely.